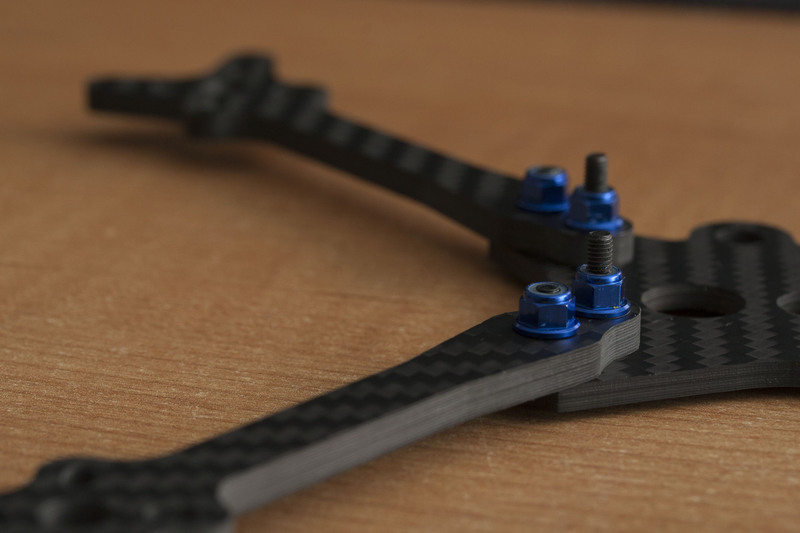 Pyro Drone’s popular Hyperlite FLOSS frame helped define the present ultra-light frame market, but had with several issues that made it difficult to use. 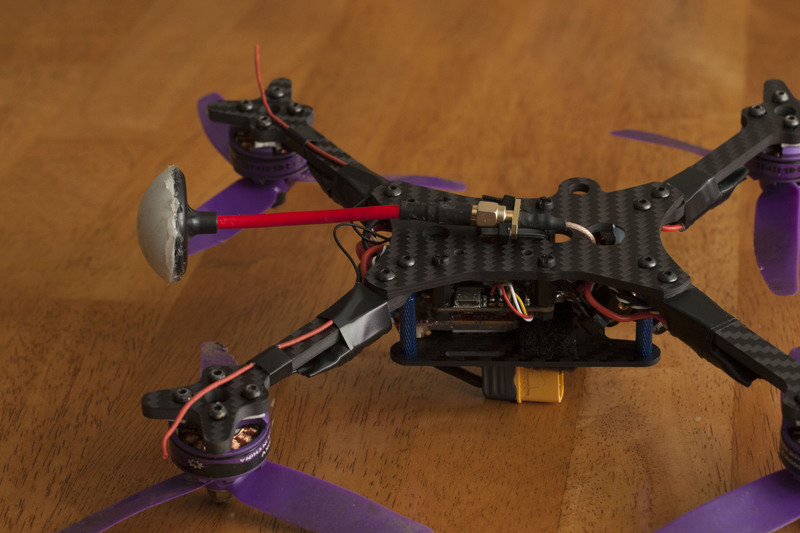 Recently, Pyro Drone began offering an updated Hyperlite FLOSS 2, and sent us one to review. 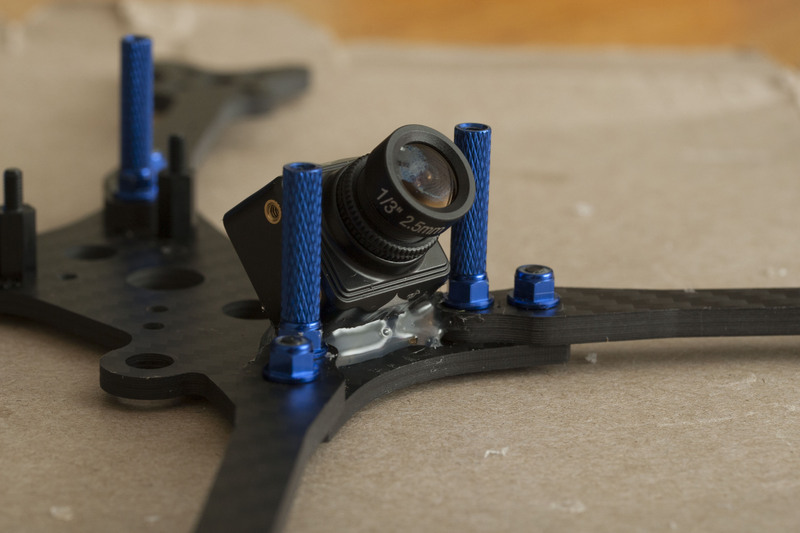 The FLOSS 2 has battery-on-top layout, which differs from most ultra-light frames that take the “tower” approach and let your battery become landing gear. Instead, the FLOSS 2 reduces all non-essentials from this more traditional frame style. 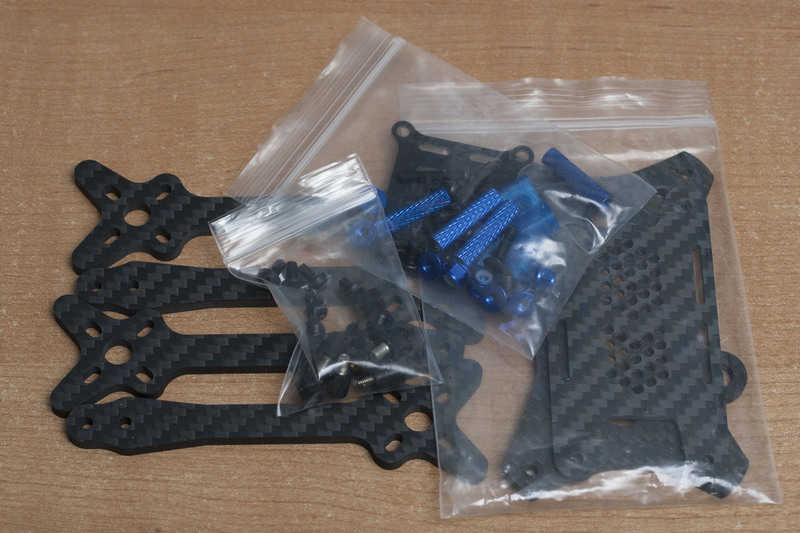 The frame arrives in a fairly small bag, with components sorted into a series of even smaller bags. 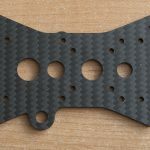 The bottom plate has drilled mounts for a standard size flight controller (31mm spacing) and an inside set that looks suitable for mini-sized FCs (20mm spacing). 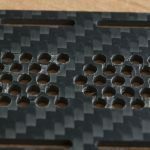 There are larger holes down the middle which appear to only be designed for venting and weight reduction as they don’t provide much in the way of easy access or mount points for components. An extrusion on one side is sized for an antenna connector. 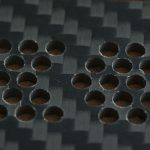 The top plate’s cutouts are also mostly vents/weight reduction, using a hex-like pattern of holes. There are two sets of slots for for 16mm battery straps. These won’t accept the wider straps often sent with batteries, but you get a 16mm strap in the package. 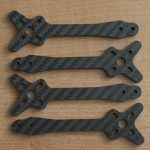 You can choose from five different arm sets to support different prop and motor sizes when you buy. 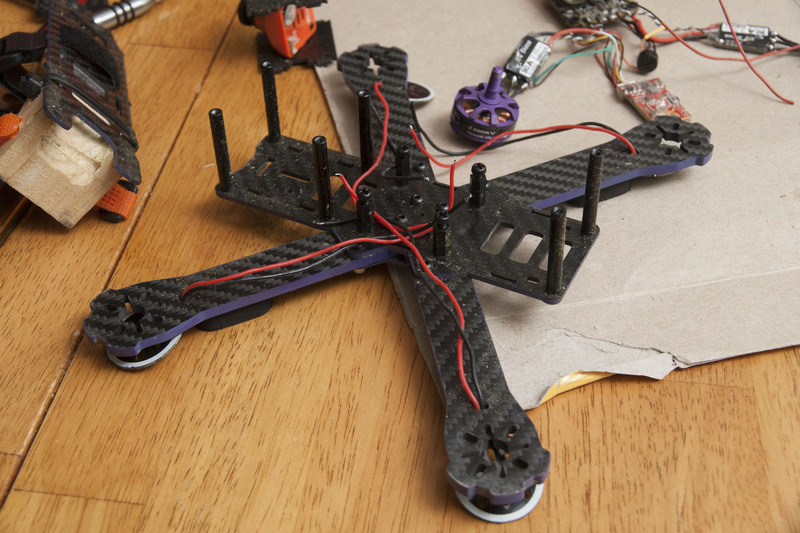 Ours is the variant designed to take 5″ props. 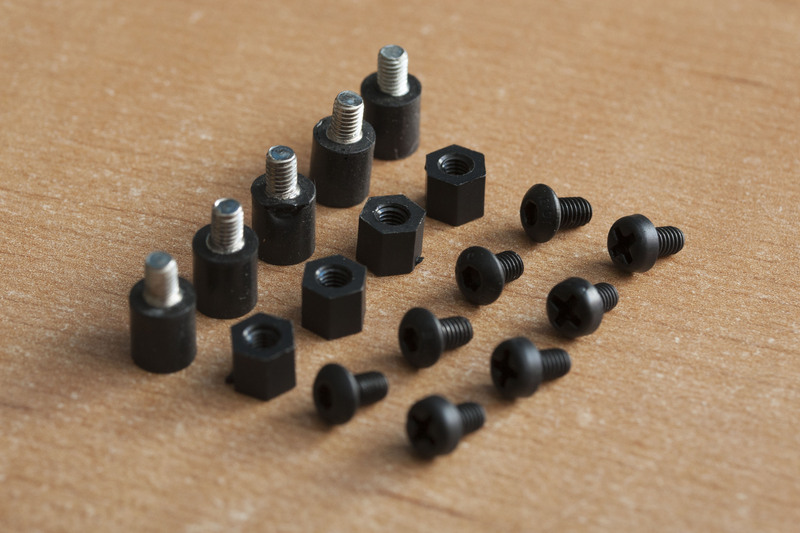 Frame hardware consists of four 20mm knurled standoffs and twelve metal “oxide” screws, (four each of three different lengths,) and eight lock nuts. 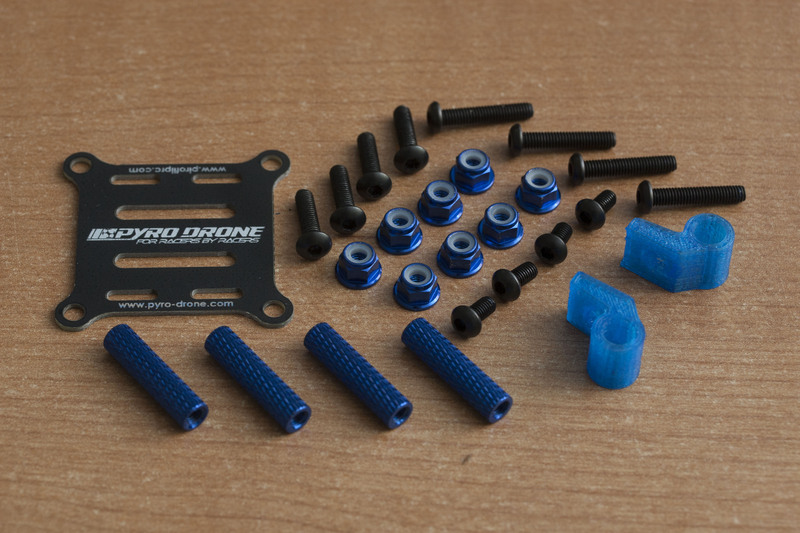 Standoffs and lock nuts are a bright anodized blue. The lock nuts were an oddity; while other hardware on the frame is measured in Metric, the lock nuts’ outer diameter is a U.S. Imperial 7/32 inch. 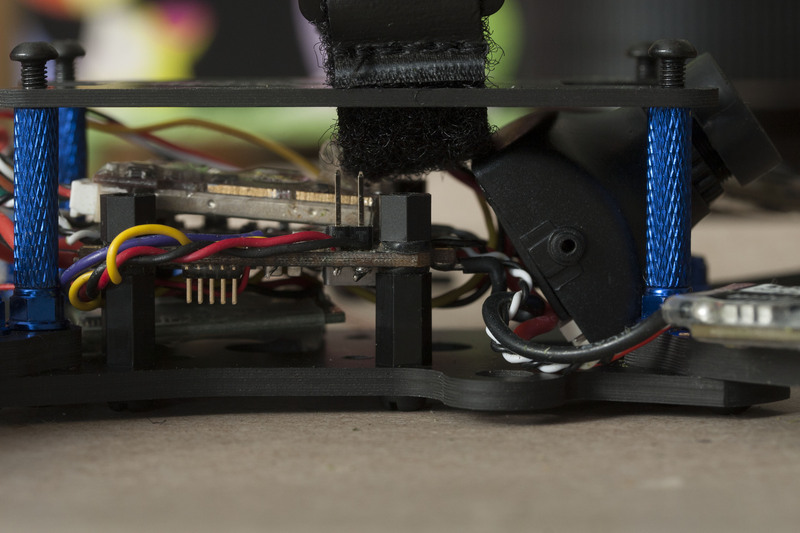 Two 3D-printed parts form a camera mount that fits micro-sized cameras only. 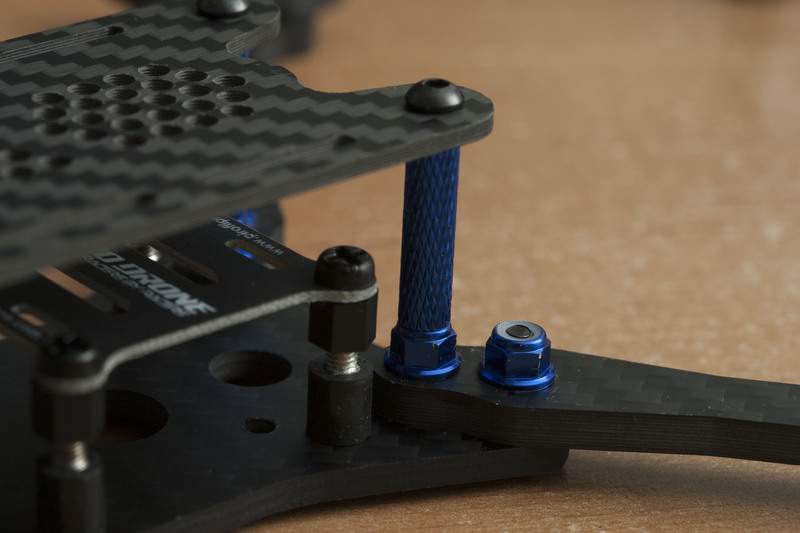 For mounting the FC, you get a set of short rubber standoffs which offer soft-mounting. These match with another very short set of oxide screws. 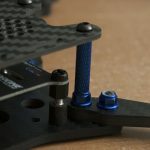 Finally, the frame supplies a small deck that sits on top of a full-size FC with some plastic nuts and matching nylon screws. I got a couple stickers as well (not pictured). Some other reviewers got an actual tooth flosser in the bag, too. I didn’t, but it’s just a gimmick and not important. 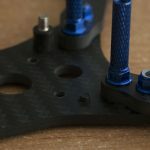 The main selling point for the frame is probably its low weight. 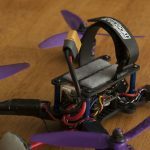 While the product page claims 66g for the frame and hardware with 5″ arms, my scale read 75g—Pyro Drone is probably excluding the flight controller and camera mounting hardware in their published weight. I like the nubbins that stick out from the arms to protect the motor bells from taking a direct hit in a crash; they have a minimal but functional design. I don’t really understand how the SMA holder is intended to be used without placing a component in a way that would easily break. 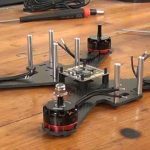 Overall, more component mounting options would improve its versatility. I’d call the build quality of the FLOSS 2 “good”, but just a bit short of “excellent”. 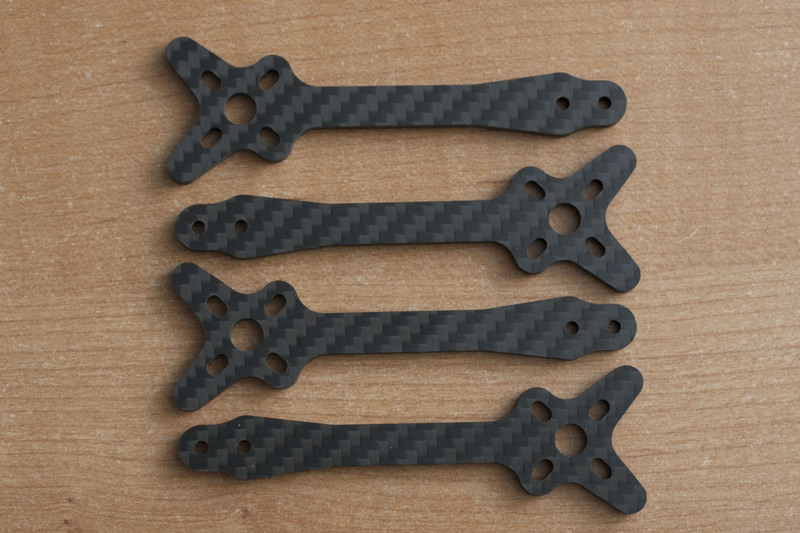 Other frames are offering chamfered edges that reduce their sharpness, but the FLOSS 2’s carbon is cut square. 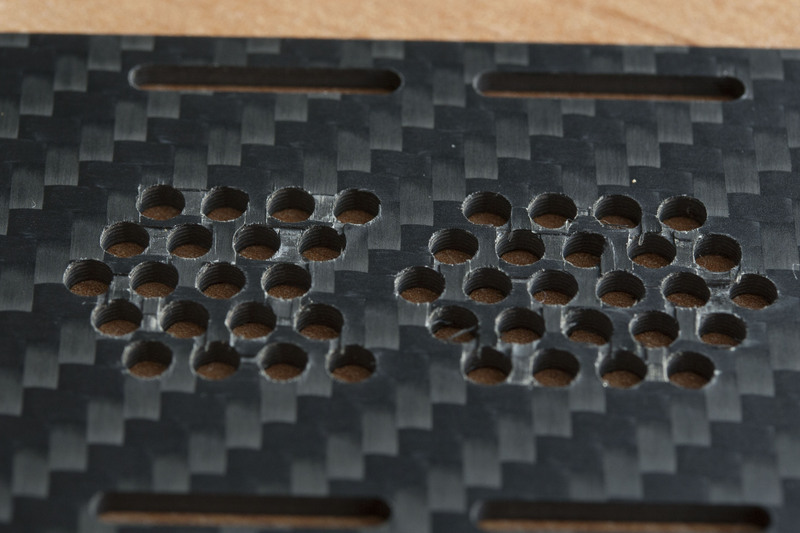 We also have an ugly side to our top plate where carbon flaked away from the holes in the drilling process. (The opposite side looks great, so you can still build a nice-looking frame.) 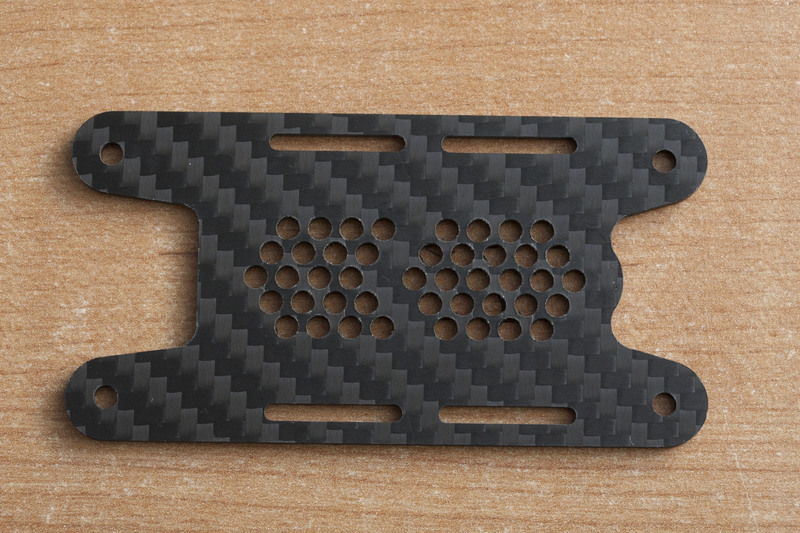 Update: The FLOSS 2 now ships with a different top plate design that appears to mitigate the flaking problem. This isn’t the list I would recommend if you were buying components to build from scratch. I’ll get into that as we go along. Begin by attaching the arms to the bottom plate. The 16mm and 12mm screws are used for this with the 12mm in the outer hole and the 16mm in the inner hole. Cap each screw with a lock nut. You probably don’t need thread locker with these lock nuts, but I already had it out so I dabbed a tiny bit on anyway. The 12mm screw will sit flush with the outer lock nut, but the 16mm screw will poke out beyond. 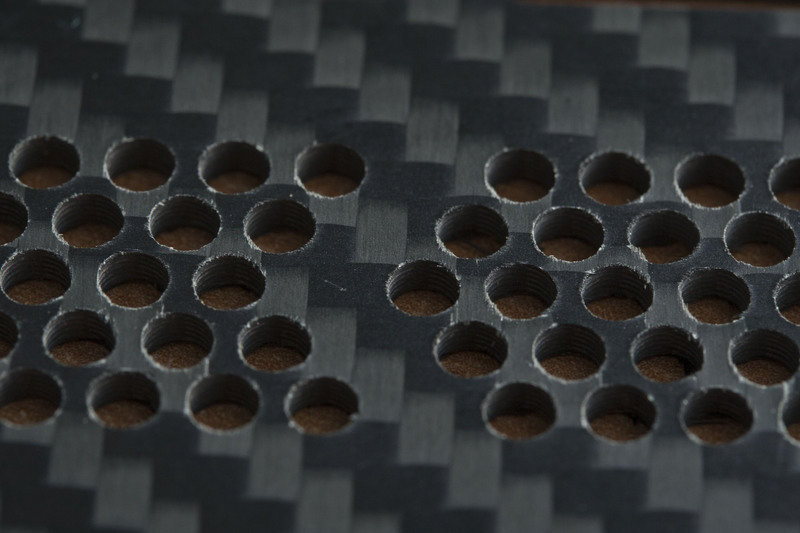 The knurled standoffs are added above these. Again, the design probably makes thread locker unnecessary here but we decided to stay safe. 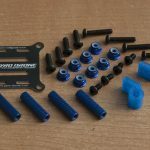 The top plate goes on with the 6mm screws, and thread locker is recommended here—you might want to add your components before finishing this off. 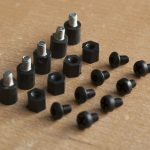 You can use the 5mm screws through the bottom plate into the soft-mount standoffs. They don’t come through the plate very far, which you can see in the photo. We assume this is intentional but would definitely thread lock here. 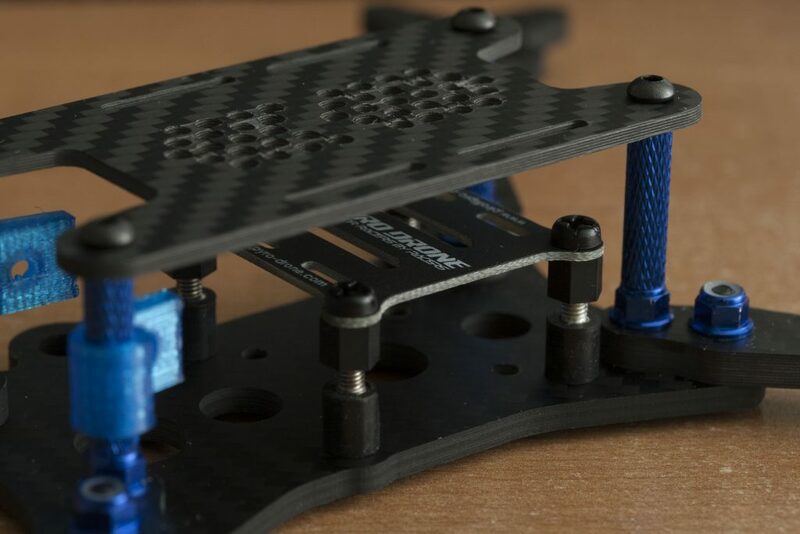 Press the camera mount onto the front standoffs if you plan to use it. The knurling holds this in place reasonably well. We’re showing photos with the deck on as well, but you’d install your FC before adding it. Since this was a transplant, I started by stripping everything off the Wizard. I had to desolder the XT-60 pigtail because it was fed through a hole in the Wizard’s top plate. I also desoldered the wires to the LED pads that mount under the motors. Once that was off, I just needed to unscrew a few places and unwrap some electrical tape I’d added (the Wizard originally had zip-ties instead). 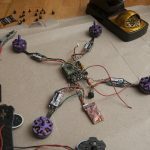 I didn’t need to desolder motors, ESCs, receiver, or VTx—which was nice, but it’s important to not let them dangle around and stress the solder joints when moving the electronics from place to place. even though I was careful, my receiver signal wire came off during one such move and had to be resoldered. Flight controllers probably have the most standardized mounting method of any component, so it was easy to find a place for it. I made a change here and used nylon standoffs instead of the rubber standoffs included. 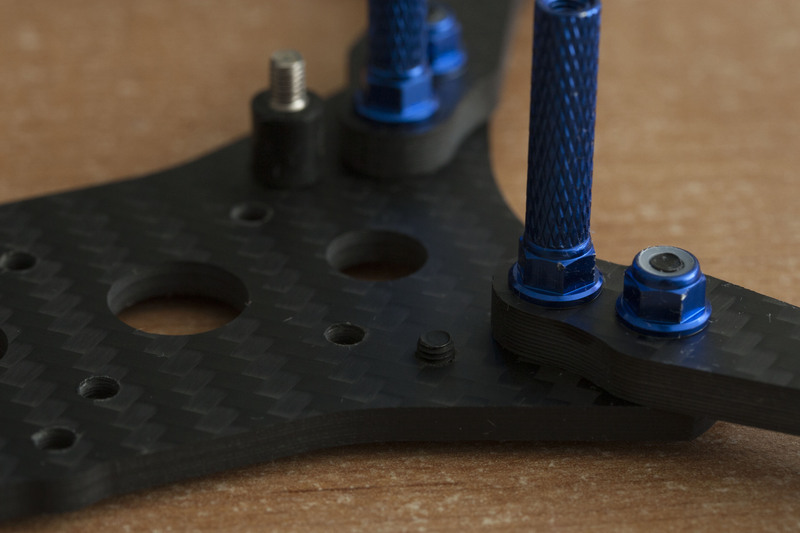 The DYS F4 Pro uses rubber grommets in its mounting holes, so soft-mounting is already covered. I also wanted more height below the FC to place the X4R. Tucked under there, it doesn’t even need separately secured in place. I found that a set of pin headers that I had added on the edge of the FC prevented the deck from being installed, and removed them from my board. They were instlled for a racing transponder, but our group seems to be moving toward VTx-based timing now. If I need to reinstall them, I’ll consider an angled header instead. 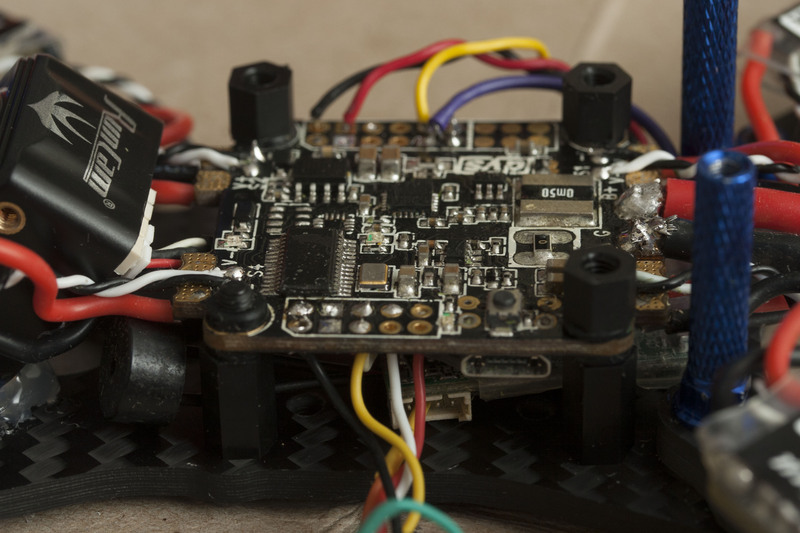 The DYS F4 Pro includes a PDB and voltage regulators. I’m not sure how you could use this frame if you needed a separate board for these. Space is very tight; some kind of combined board is really necessary here. 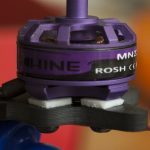 The description for the FLOSS 2 states: “… allowing to fit micro or mini cameras, Full size will fit as well but micro and mini are highly recommended“. I’m not convinced that this accurately describes the situation. I had an XAT600M in my Wizard and figured it would transplant okay, but it simply would not. The camera case just barely fits in the frame, but I run a 45 degree tilt angle for racing. The connector is on the bottom and wouldn’t fit (or if forced, would stress the wires considerably as they were tightly shoved into the frame plate). 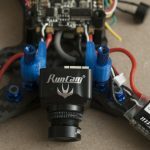 We had a Runcam Swift Mini from a previous review and tried that next. There’s enough space, but no way to mount it. The included camera mount only fits micro (not mini) cameras, so it wasn’t usable. 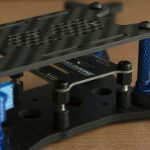 There are no usable mount mounts on the bottom plate. You might get a bracket into the front-most hole of the top plate, but then you’d have a screw head poking upward under your battery. In the end, I went with the ultimate DIY camera mount: a wad of hot glue. 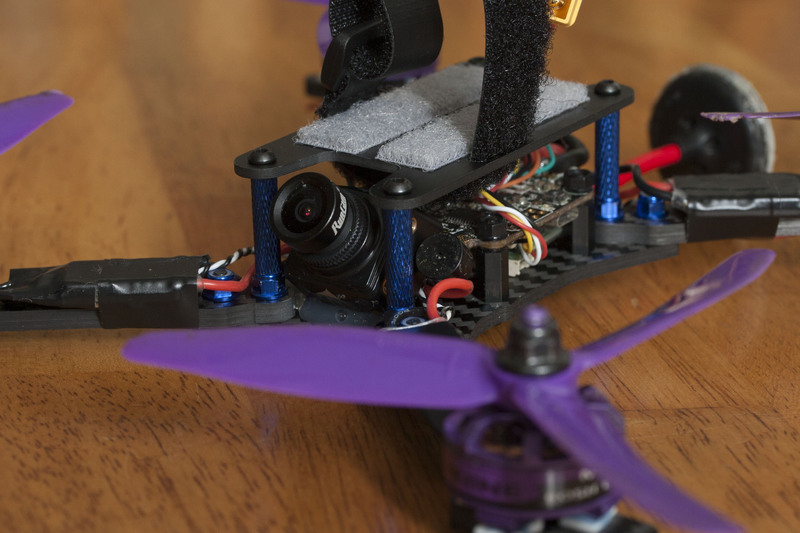 This is a tried-and-true method for me—I used it for almost a year when I flew a QAV250. 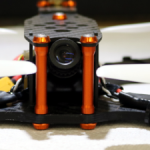 (The QAV250’s camera mount options have their own set of problems.) 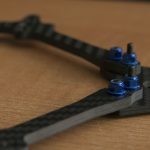 It was always a solid mount on the QAV250, and the FLOSS2 has more surface area than the QAV where the camera goes, so I don’t think there will be any issues holding the Swift Mini in place. It was tricky getting the TrampHV mounted where I was comfortable with it. A dry fit at this point showed there wouldn’t be enough space for the video transmitter to sit on top of the extra deck, so I left it off. 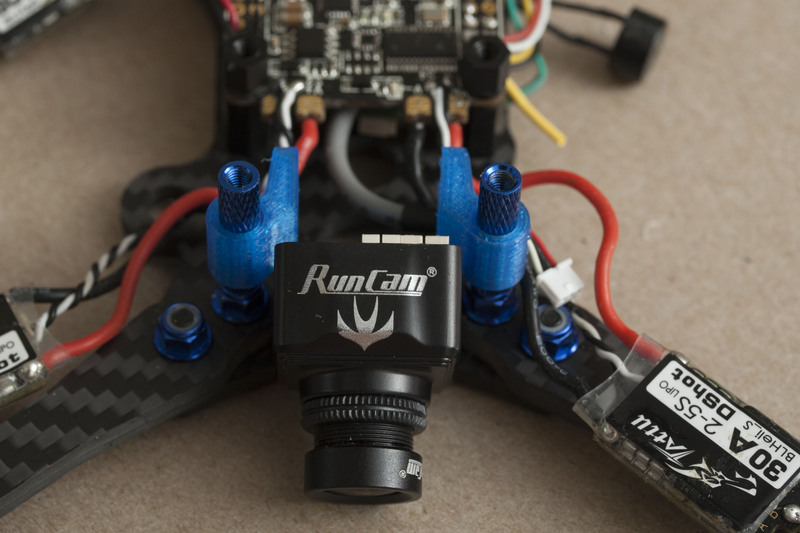 I didn’t want to mount my VTx directly to the FC, and instead chose to use the underside of the top plate with some foam tape. This offers better airflow over both components and prevents unwanted shorts between the two. I tried using the SMA mount for the antenna, but I just don’t understand how to make it work. 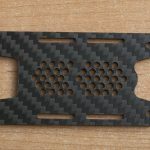 If you put something through it, you end up either severely stressing a component against the carbon edge, or placing something where it’s really susceptible to breakage. Maybe it could work with exactly the right combination of connectors, but not anything I had available. I ended up adding a longer u.fl pigtail than the Tramp normally comes with (because I had just broken the other one in a crash) and fed it underneath the frame. A couple small zip ties through the connector and frame should keep it secure here and transfer any stress on the connector to a strong part of the bottom frame plate. This should have been the easy part, but I had to improvise here as well. The only screws I had available for mounting the motors came from the Wizard. 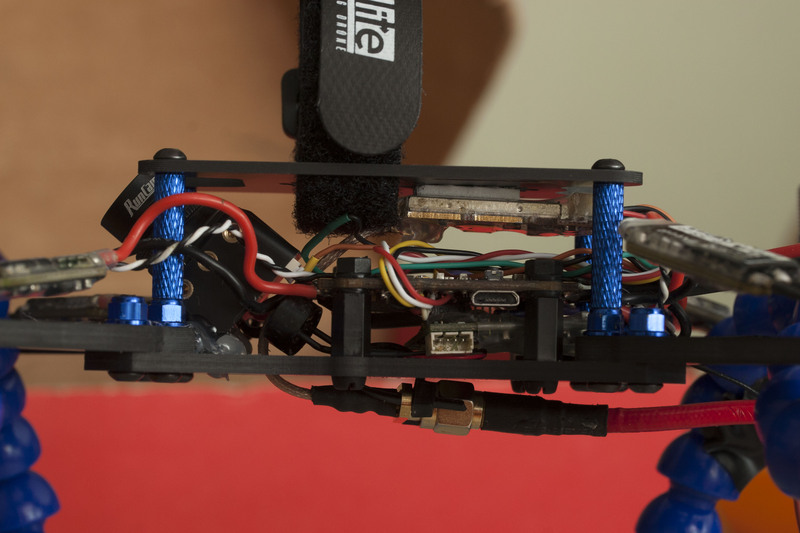 The Wizard has LED plates under each arm, which extend the size of screw you need for mounting the motor. I didn’t transfer the LED plates, but that meant the screws were too long—If I pushed them all the way, I would short the motor windings to the frame. 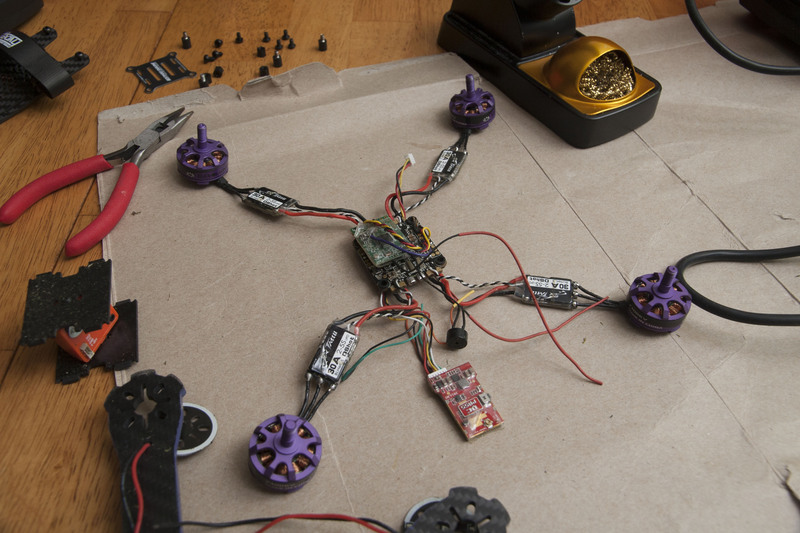 To solve this, I used several small pieces of foam tape as a spacer, soft-mounting the motors. 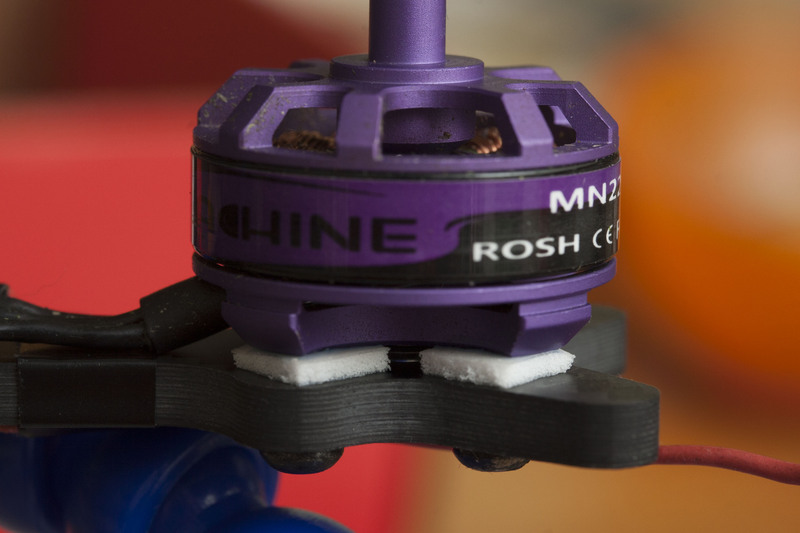 Soft mounting prevents friction against the frame from contributing to holding the screw in place, so lots of thread locker is needed at the motor when you do this. 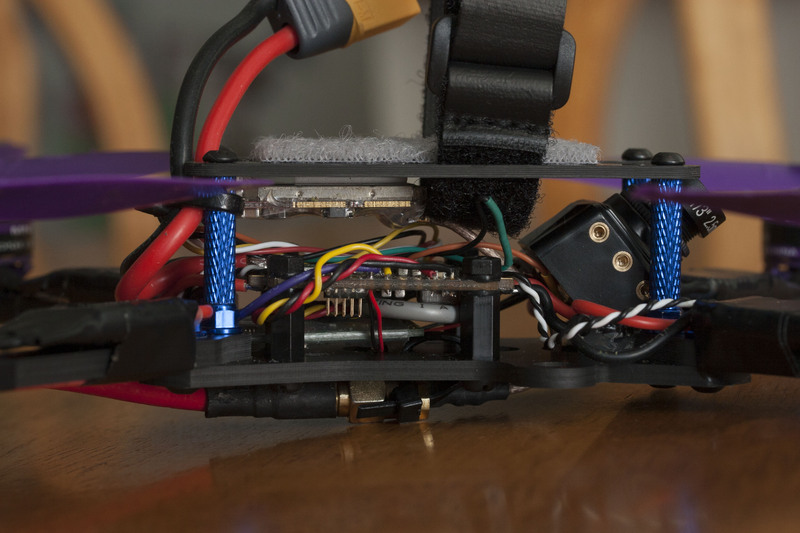 The ESCs sit easily on the upper part of the frame arms; I simply used electrical tape to hold them in place again. Just a few odds and ends needed done to wrap up the build. Adding velcro to the top plate helps keep batteries from sliding out. I didn’t want to cover all of the top plate vents, so I split the velcro into two strips and laid one on either side. 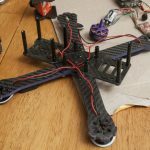 I was also concerned about the XT-60 pigtail falling into the props, so I added a zip-tie on a back standoff to keep it pointed upward. 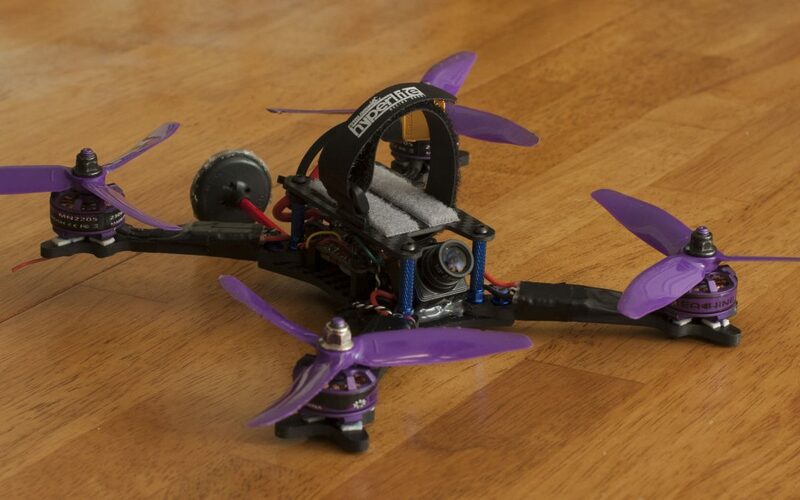 This final product with the Wizard’s 5040×3 props weighs in at about 290g, giving it an AUW right about 400g with a racing battery. That is considerably better than the Wizard X220’s stock frame—I’ve shaved almost 20% of the weight in the transfer process. The frame also gains a much more refined, sleek look. I don’t know how I’ll mount an action camera. If I were to approach the FLOSS 2 again, I would probably choose a much different set of components. 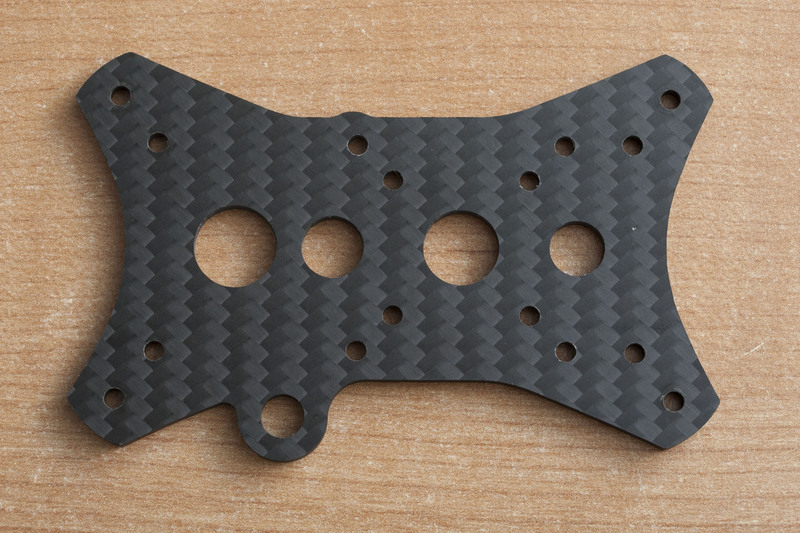 This frame really rewards extremely compact, light components and those that combine features into the same board. 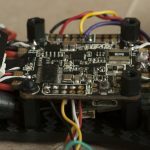 I would look into AIO boards that combine PDB, VTx, and/or receiver. I also would buy a micro-size camera since it’s really the only kind that can mount easily. 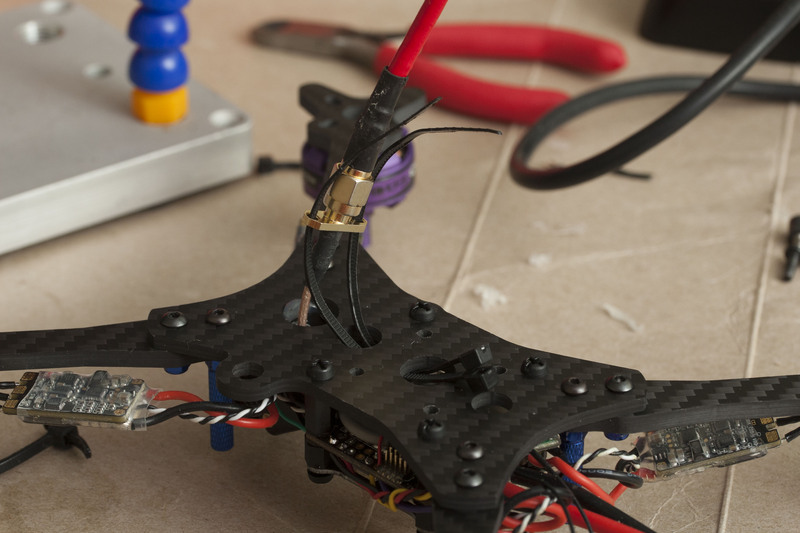 Finally, there’s pretty slim pickings for a VTx antenna mount; something like a u.fl AXII would be a better choice than looking for a place to mount an SMA connector and antenna. 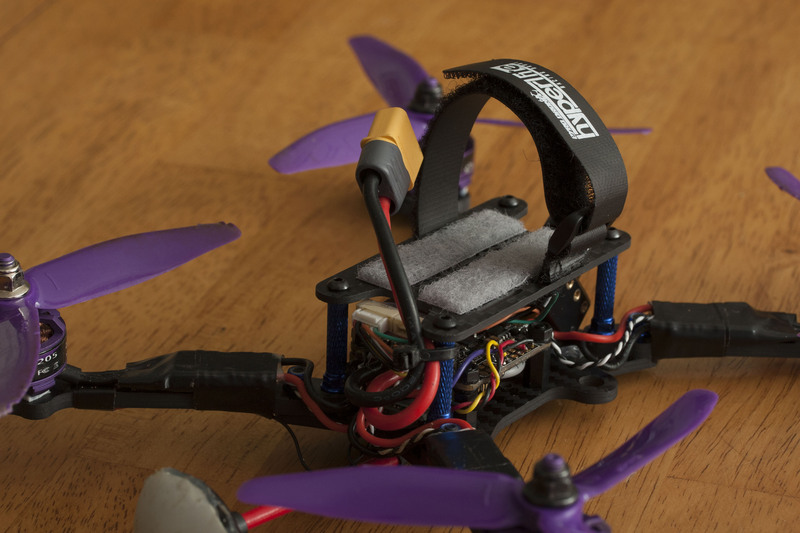 This isn’t a build I’d recommend for a beginner, either—fitting the components in ways that keep them safely contained took a lot of knowledge and experience gained from previous crashing. Despite the build challenges, we like the FLOSS 2 so far. It looks reasonably durable, and sheds weight by removing unnecessary areas. I’m excited to get it out to the field; I expect the weight change alone from the bulky Wizard is really going to make a difference. 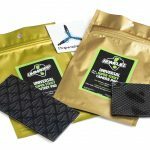 You can buy the Hyperlite FLOSS 2 directly from Pyro Drone.